The Finnish Safety Investigation Authority published their investigation report on a serious runway incursion incident that occurred at Helsinki-Vantaa Airport on December 29, 2011 blaming the crew’s misinterpretation of traffic information and inadequate CRM. A Saab 340 aircraft operated by RAF-AVIA Airlines, call sign NEF025, was preparing to take off for a cargo flight and entered the runway. Simultaneously, a Golden Air ATR-72 aircraft, call sign BLF218, which had already been cleared to land, was approaching the same runway. NEF025 had two crew members. BLF218 had 67 passengers and 4 aircrew members. In accordance with the instructions of the air traffic controller, NEF025 was taxiing to the holding point for runway 22R. Since NEF025 had not contacted Aerodrome Control Tower West (TWR-W), responsible for traffic on runway 22R, the controller switched on the red stop bar so that NEF025 would not taxi onto the runway in front of the landing aircraft. Shortly afterwards NEF025 called TWR-W. At this time the controller informed NEF025 of the landing aircraft: “NEF025 one landing”. The pilot-in-command of NEF025 interpreted the traffic information to be a clearance to taxi onto the runway. Although the co-pilot was unsure of the clearance, the pilots did not confirm this from the air traffic control. NEF025 continued to taxi onto the runway past the illuminated stop bar. The ATR-72 was approaching runway 22R and received a landing clearance from the TWR controller. During the final stage of the approach the pilots of the ATR-72 noticed that the runway was occupied and aborted the approach. Simultaneously, the TWR controller also noticed that NEF025 had entered the runway and cleared BLF218 for a go-around. 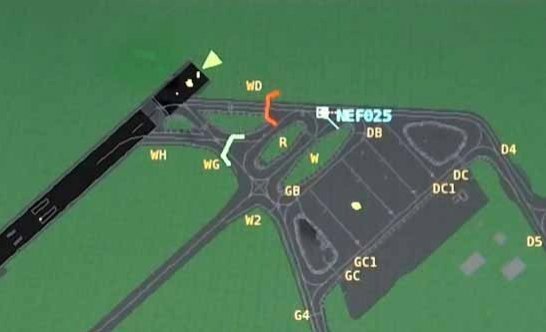 The serious incident occurred because the flight crew of NEF025 misinterpreted the traffic information, crossed the illuminated stop bar and entered the active runway 22R without an air traffic control clearance. Inadequate multi-crew cooperation between the pilots of NEF025 was a contributing factor. In the spring of 2012 the Latvian Civil Aviation Agency (LV CAA) organised two flight safety meetings with RAF-AVIA and audited the company’s operations. As a result of the meetings and the audit LV CAA issued several recommendations for the purpose of correcting the observed anomalies. RAF-AVIA agreed to the recommendations of LV CAA. Safety Investigation Authority, Finland (SIAF) issued five safety recommendations: two of them were directed at the Latvian Civil Aviation Agency and three at Finavia Corporation. Finavia maintains Finland’s network of 25 airports and the air navigation system. SIAF recommend that LV CAA ensure that the pilots of RAF-AVIA are familiar with the procedures related to stop bars. Furthermore, SIAF also recommended that LV CAA make certain that RAF-AVIA pilots possess sufficient multi-crew cooperation skills. SIAF recommend that Finavia emphasise the importance of disciplined radiotelephony communications in air traffic control operations and that Finavia focus particular attention on correct read-backs. Secondly, SIAF recommended that Finavia make certain that air traffic controllers include the pertinent air traffic control clearance, as applicable, when they complement the standard radiotelephony phraseology with traffic information. SIAF also recommended that Finavia study the possibilities of introducing a runway incursion alerting system.